Just preceding the High Holidays in 1920, a very small group met in the Summer Street home of Mr. & Mrs. William Block to organize a new congregation in Stamford. They quickly found fifty interested families, rented space in the Greyrock Place building of the Hebrew Institute and were served by visiting rabbis. Within a year, the congregation acquired the services of a young graduate of the Jewish Theological Seminary, Rabbi Max Arzt, who was later to become one of the greatest names in Conservative Judaism. And it took a name: Temple Beth El. In 1922, a building committee was formed and on September 24, 1924, land was purchased for a building on Prospect Street. 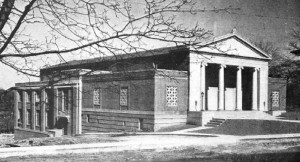 The first service was held at the new synagogue on Rosh Hashanah, September 27, 1927. The synagogue flourished for more than 40 years on Prospect Street. It served as a driving force in the growth of Stamford’s Jewish population and culture. Temple Beth El was carried through this period by a number of rabbis and cantors, most notably Rabbi David Pearlman and Rabbi Alex Goldman, who arrived in 1966, and Hazzan Sidney Rabinowitz, who arrived in 1970. By the early 1970s, the synagogue’s membership had grown to almost 500 families and a new building was required. 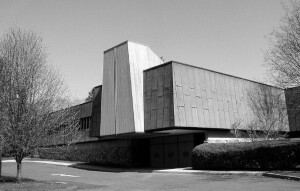 Ground was broken on Roxbury Road on April 23, 1972, and by the High Holidays of the following year, Temple Beth El’s beautiful new facilities were ready to welcome the community. Rabbi Joshua Hammerman was hired as the synagogue’s first assistant rabbi in 1987, becoming spiritual leader of the congregation in 1992. Today, Temple Beth El’s senior staff includes Rabbi Hammerman, Cantor Magda Fishman, Executive Director Steve Lander, and Director of Congregational Learning Lisa Gittelman Udi.